Planet Honda needed a solution to help improve their overall sales performance. Specifically, their top three goals were to increase targeted model sales, re-engage lapsed leads over 90 days old and convert them to showroom visits, and eliminate ineffective lead providers to reduce wasted time and money. Bice CDJR had no way to accurately assess the performance of both their lead sources and their individual salespeople. 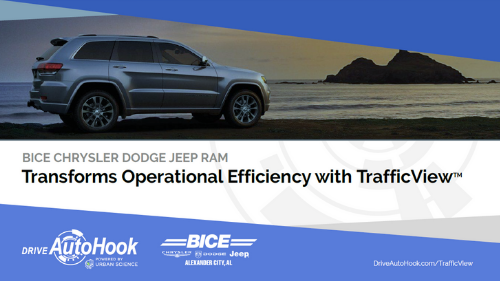 In order to refine their sales and follow-up processes, they needed a solution that could measure their true success by looking at how many vehicles they sold, as well as the sales they lost to competing dealers. After recognizing success with the national Hyundai Test Drive Program, Route 46 Hyundai was looking for additional ways to drive even more showroom traffic and incremental sales. In one year, AutoHook helped them increase closed sales by almost 60% with an ROI of 228% attributed to the AutoHook+ solution alone. Peak Kia used AutoHook + ServiceSmarts® Integration to improve the success of their service campaigns at their two locations. They targeted customers identified in ServiceSmarts® as Active and Inactive with AutoHook incentives to convert these leads into appointments and closed ROs. With a surplus of Subaru Forester inventory on retailer lots, and a sound digital marketing strategy, the region sought a solution to increase web conversion and drive additional, quality traffic into the retailer showroom. AutoHook’s test drive campaign solution did just that. In order to overcome the challenges and heightened competition of a flat market, Boucher Hyundai needed a way to protect their territory by increasing their market share, improving their sales efficiency, and reducing the incidence of lost sales to other dealers in their PMA. In a down market, Germain Ford of Beavercreek needed a way to increase their overall market share and reduce the amount of pump-in sales lost to competitors. Leveraging sales match data from Urban Science, AutoHook determined Germain Ford was losing over 50% of sales to competing dealers in their market (usually referred to as “pump-in”).